Google has rolled out what seems to be one of the biggest updates in the search engines history, certainly an update that will make transitioning in modern era of web development a necessity. While many of the internet's gurus are busy complaining about the dubbed name of “Mobilegeddon” that this update has received, a lot of individuals, and especially business owners, are busy updating their websites to reflect these important changes. We first heard of this update back in February, roughly two months ago. Google had informed webmasters and business owners that significant changes would happen to the way mobile content and mobile apps are being indexed. Now the Mobilegeddon update has been rolled out. 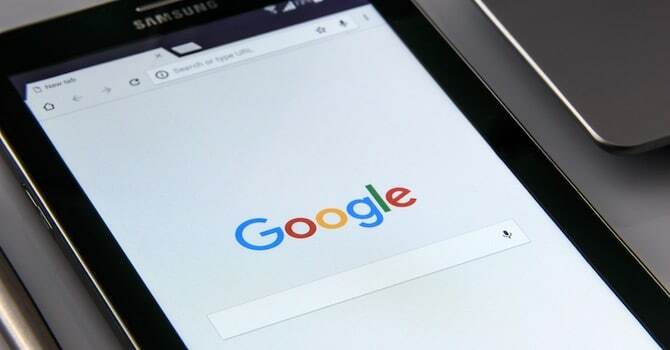 In recent news, we've learned that there has been a roughly 5%~ increase in the number of mobiles sites that can be found on Google's search, according to Google itself. While that is a significant number, it still leaves a humongous room for potential, because who knows how many sites will be abandoned forever and ever, never getting the change of an mobile-friendly upgrade. 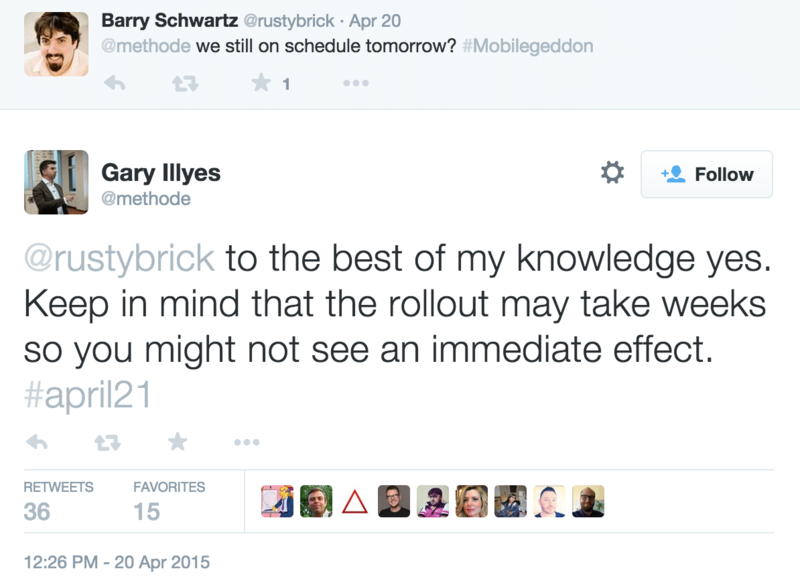 In terms of how long this update is going to take before coming into full effect for everyone, it seems that it may actually take a couple of weeks, Barry Schwartz had asked a question to Gary Illyes regarding the schedule of “Mobilegeddon”, and on top of confirming the official date, Gary mentioned that the rollout might take a few weeks to complete. We think it's fair to say that this is pretty good news for WordPress users, given the fact that WordPress has been operating with the latest web standards for quite some time now, many of the themes that we see being released for free on the official theme repository are actually responsive (mobile-friendly), and provide great flexibility to adjust the changes if necessary. On top of that, there are numerous amounts of plugins that provide a mobile-friendly experience to your site, and while some of these solutions are paid alternatives, most offer free plans that are good enough to get you started with. Though we can already see the increase of these in the market in the very near future to address the latest Google update. It's fair to say that most WordPress users actually depend on the in-built responsive functionality of a WordPress theme. Otherwise development costs and knowledge for such transition can build-up in the hundreds, all the way to the thousands of dollars if there is a need to have it done properly. Fortunately, all of our professional WordPress themes here on MH Themes are officially mobile-friendly and will protect your site from getting penalized because of this Google update. We've got a few mobile-friendly WordPress themes to choose from! If we take a look at how many of the Fortune 500 companies are running their websites as mobile-friendly, we get a fairly shocking result. A whopping 44% of the total Fortune 500 websites are not adjusted for a mobile experience. You would think that sites earning such a large amount of revenue would take care of the very essentials of a good user experience. However, this may change and become top priority once their rankings in search engines start to suffer. But, even that is besides the point, how many millions of websites have just realized that their websites are not mobile-friendly either, and how much more development dollars is this going to pour into the industry in the coming months, even years? Christmas has certainly come very early for developers and web companies this year. By taking a look at marketplaces for WordPress themes, we learn that on popular sites, a mobile-friendly theme has been a standard for nearly two years now, so in that sense — it's just another confirmation that WordPress users should not worry too much, but double checking whether your site is mobile friendly is of the most important essence. Google has actually launched a specific page for this update, which discusses everything you need to know regarding mobile-friendly websites. Last but not least, it's good to keep in mind that this Google update has rolled out for every single website in the world. At least for websites that are indexed by the Google algorithm, and it's fair to say that it won't be stopping any time soon. We will most likely experience a new era of mobile development, where creating a mobile user experience is going to become just as easy as building a singular website. So don't worry, there are plenty of ways to make your website mobile-friendly. If you have any questions, please let us know in the comments.